When Your Parent’s a Pack Rat, How Do You Clean the House? Clutter isn’t just unsightly, it can be hazardous. From tripping and falling to being fuel for a fire, clutter needs to be cleaned up. 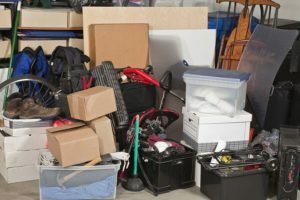 When your mom or dad is a bit of a pack rat, how do you get clutter under control? Home Care Rochester NY – When Your Parent’s a Pack Rat, How Do You Clean the House? Where furniture will fit, buy simple storage systems. Cube storage is affordable and attractive. Put it in place and pull out the storage cubes. Explain to your mom or dad that the items in that room need to fit in the cubes you’ve set out. To do this, your parent has to make choices on what needs to stay and what can go. It may take time, but things can get narrowed down. Get the items that can be discarded out of the house as soon as possible. You don’t want your dad or mom changing his or her mind and retrieving the unnecessary items. Don’t overwhelm your parent. Pick one room or corner of a room and get that clean. Stop at that point. It’s likely that your mom or dad likes how the room looks and wants to continue. If that’s the case, keep going. If it seems to be causing stress, stop for a bit and return to it when your parent is ready. It may help to not even clean a room. Start with the fridge. Go through and find moldy or expired items. Clean surfaces with a solution of bleach and water or vinegar and water and put items that are good back in the right place. Once the fridge is clean and tidy, your mom or dad may want to take another small step and clean a cupboard or freezer. You might have more success if you say someone in the community is in need of certain items. If your mom or dad thinks items are going to a needy community member, it can lead to a successful day of cleaning. Items can then get donated to a store that sells the items to raise money for local charities. Home care is another way to handle clutter. 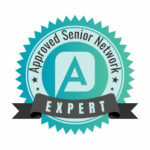 Once the house is clean, hire home care providers to come in weekly and clean the house. Light housekeeping chores like dusting, vacuuming, and tidying up are all possible services. Laundry, meal preparation, and companionship are others. Call our home care agency to discuss prices and services that would benefit your mom or dad.